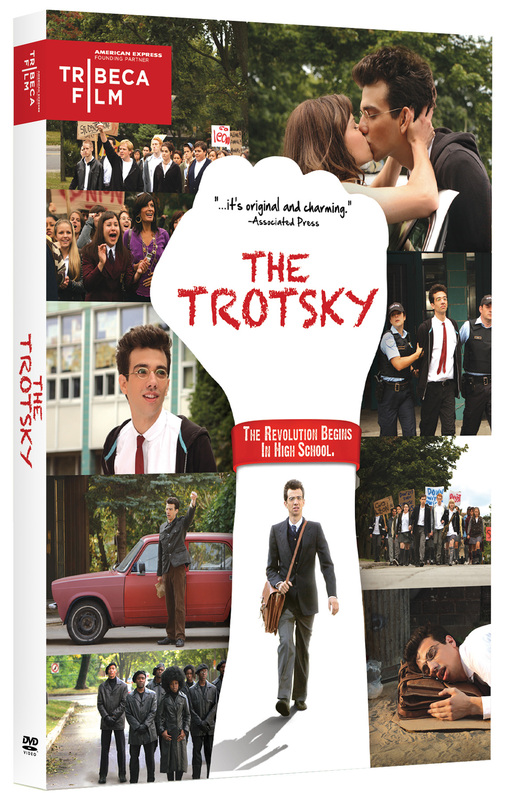 NEW YORK, NOVEMBER 11, 2010 – An unusually intense teenager gets the idea that his name defines his destiny in the deliriously offbeat comedy, The Trotsky. Leon Bronstein (Jay Baruchel, Tropic Thunder) is a young man who has made the discovery that his birth name is the same as that of Leon Trotsky, the celebrated Russian revolutionary and socialist theorist. This coincidence leads Leon to believe that he is the reincarnation of his “namesake” and it is his destiny to follow the same path—an ironic predicament when you have rich parents and attend an upscale private school in Montreal. When Leon’s father (Saul Rubinek, Warehouse 13) gives his son a part-time job at the family clothing factory, within a day Leon is leading his fellow workers in a sit-down strike. His father isn’t amused so Leon is punished by being sent to public school. There, the aspiring Bolshevik finds new ways to battle fascism—in the form of Principal Berkhoff (Colm Feore, 24) and Mrs. Davis (Domini Blythe), a teacher eager to give detention to her students. Leon’s pursuit of social justice leads him to Frank (Michael Murphy, X-Men: The Last Stand), a burned-out activist turned college professor, and Frank’s thesis student, named Alexandra (Emily Hampshire) like Trotsky’s great love, who Leon believes to be his future bride. The single disc comes with a trove of bonus features, including bloopers, deleted scenes, interviews and commentaries featuring director Jacob Tierney. 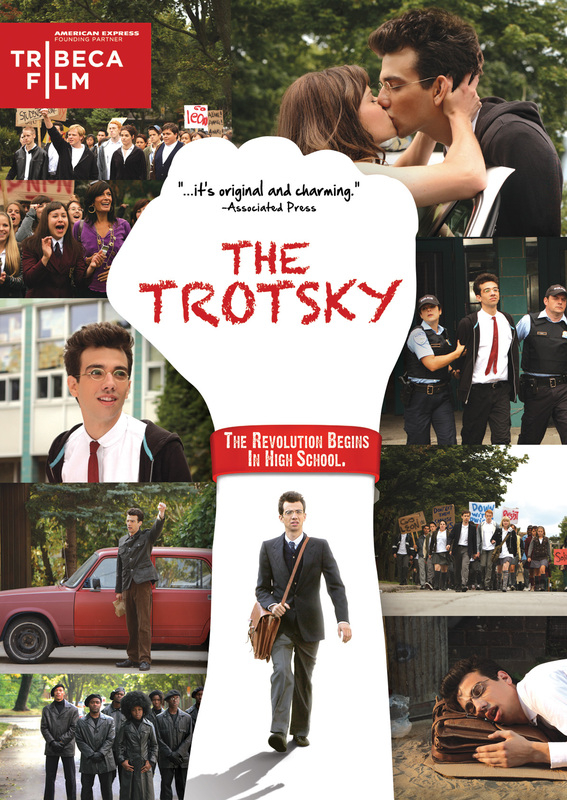 The Trotsky is one of 10 Tribeca Film titles scheduled to be distributed by New Video in 2010 and 2011. Tribeca Film is a distribution platform acquiring and releasing films year-round and is supported by Founding Partner American Express. The films range from award-winning dramas and revealing documentaries to uproarious comedies and stunning animated features, many of which premiered at the 2010 Tribeca Film Festival prior to theatrical runs in New York and Los Angeles. The films from the Tribeca Film slate were also available on video on demand in 40 million U.S. homes simultaneously with their Festival screenings through relationships with leading telecom, cable and satellite providers.